With the rebrand & relaunch of my YouTube channel, I wanted to switch things up a little bit and vary my content so that I'm doing more than just beauty, so although 'favourites' videos will be a monthly thing over on my YouTube channel (www.youtube.com/c/farheenxo), they will include all sorts of things, including fashion, food and film favourites etc. Ofcourse, I'm still obsessed with beauty, so I wanted to created a series that was purely beauty based for my blog, showcasing beauty bits that I've fallen in love with and can't put down and I've shortlisted it down to these 4 products. First on the list is this UH-MAZING eyeshadow palette by Zoeva. Honestly, it's Autumn in a palette and all 10 shades are absolutely beautiful. The palette costs £15.50, which to some people may be really expensive and to others, not, but either way, it's money well spent and there's enough shades in various finishes to take you from day to night. I'm in love. This is a relatively new product in my collection, but I was on the hunt for a new everyday foundation after I ran out of my No7 Stay Perfect Foundation in Warm Sand and I decided to give this a go. I'm so glad I did. I won't give away too much about this now, as I will be reviewing it in the next post, but at £7.99, it ticks all the boxes for me and gives me a lovely light to medium buildable coverage which wears really well throughout the day. I don't think enough people talk about this product and I don't know why; I think it's amazing! It gives you the most beautiful iridescent golden glow & a little bit of this goes a long way. The best part? It's only £3 and I think it could give a lot of the higher end highlighters a run for their money! I have many brushes in my collection, including the Zoeva Rose Gold Brush Set which is a dreaaaaaam to use, but I felt like something was missing and a little browse on Beauty Bay later, I realised it was this Zoeva Fan Brush. In hindsight, I should've known - I've seen this brush scattered around on other bloggers' instagrams and in their posts, but better late than never, right? I really enjoy using this brush, particularly with the Make Up Revolution highlighter as I feel that it picks up just the right amount of product on the brush.. Before discovering this, I found myself applying my highlighter with other brushes, which would just look like a lot of product was packed on in one place, whereas this makes it so much easier just to sweep across the skin and distribute the product evenly, without being too much. One word, six letters, yet still, it can be such a scary thing for some people. I totally get that. Change is something I've been umm-ing and ahh-ing about over the last few months. Some of you may know me, and some of you may not, but my name is Farheen and I used to run a little channel on YouTube, and what this blog formerly used to be, called 'The Surreal Buzz'. Although the blogging thing was new to me, I've had my YouTube channel for a while. I think that when you've been doing something (anything) for a long time, it's really easy just to fall into habits, to put yourself in a little box and for things to just become really stagnant. That's what happened to me. After months of being very on and off with creating content, and slightly falling out of love with one of the things I loved doing the most, I knew it was time. I needed the change. So, welcome to my relaunched blog! 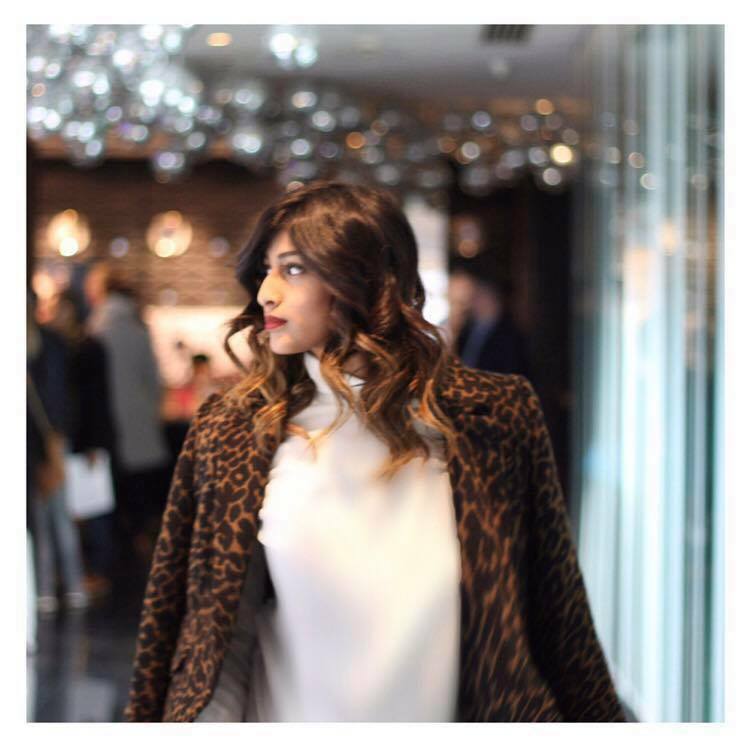 'Farheenxo' is my little place for all things beauty, fashion and lifestyle related! As well as the changes here, I've also rebranded and relaunched my channel - you can now find me at www.youtube.com/c/farheenxo, where I'll be uploading all sorts of things, including beauty, hauls, lifestyle, fitness and whatever else comes my way. The whole point of rebranding is allowing myself a fresh start and making my platform what I want it to be, without feeling like I can't. A lot of people fear change, because it's all about breaking a habit that you've become used to, but change isn't always a bad thing. Especially if you're not happy with something, you need to always remember that things won't change unless you do. So here I am, embracing all these changes, and I hope you're as excited for the road ahead as I am.